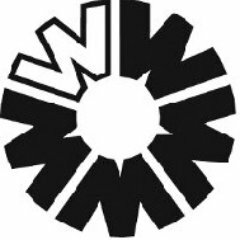 You are at:Home»News»Funding»Connecting Wirral South Social Isolation Fund – Now Open! Connecting Wirral South Social Isolation Fund – Now Open! 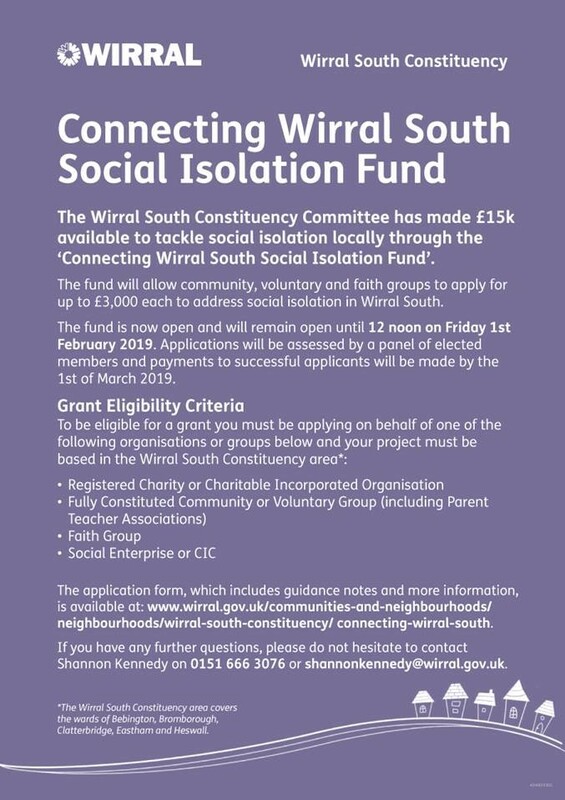 The Wirral South Constituency Committee has made £15k available to tackle social isolation locally through the ‘Connecting Wirral South Social Isolation Fund’. The fund will allow community, voluntary and faith groups to apply for up to £3,000 each to address social isolation in Wirral South. 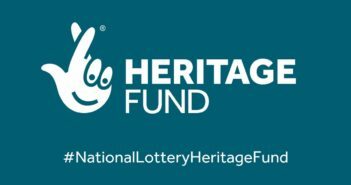 The fund is now open and will remain open until 12 noon on Friday 1st February 2019. Applications will be assessed by a panel of elected members and payments to successful applicants will be made by the 1st of March 2019. The application form, which includes guidance notes and more information, is available below. If you have any further questions, please do not hesitate to contact Shannon Kennedy on 0151 666 3076 or [email protected]. Raise awareness of both the existing opportunities available to those at risk of becoming isolated and the associated health risks of being socially isolated. Social isolation and its links to lack of regular contact with others, means that those who will be most isolated will have little or no contact with services, therefore creative solutions are needed to identify those who would benefit most from initiatives. Community action is particularly important in building and harnessing capacity within neighbourhoods to tackle social isolation.